Schools are supposed to be safe places, where children learn, grow and acquire the skills and knowledge they need to build successful lives. But what happens when they aren’t? In the last decade, news stories about violent outbreaks and bullying in school settings have brought this question and others to the forefront of American awareness. How are our children and institutions impacted when violence—whether in harder-to-spot forms like bullying or more alarming behaviors like muggings or assaults—becomes pervasive in our school systems? And, more importantly, how do we prevent it from happening? 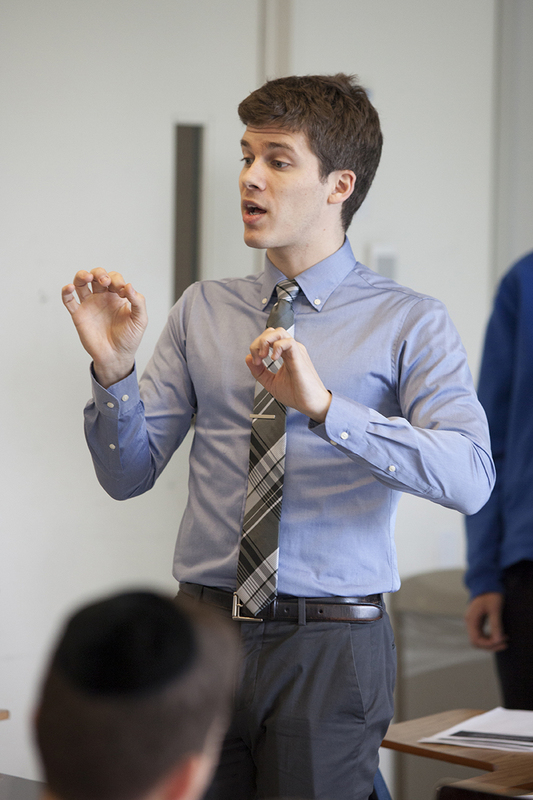 Students gave a group presentation on the impact of school violence on teacher turnover. 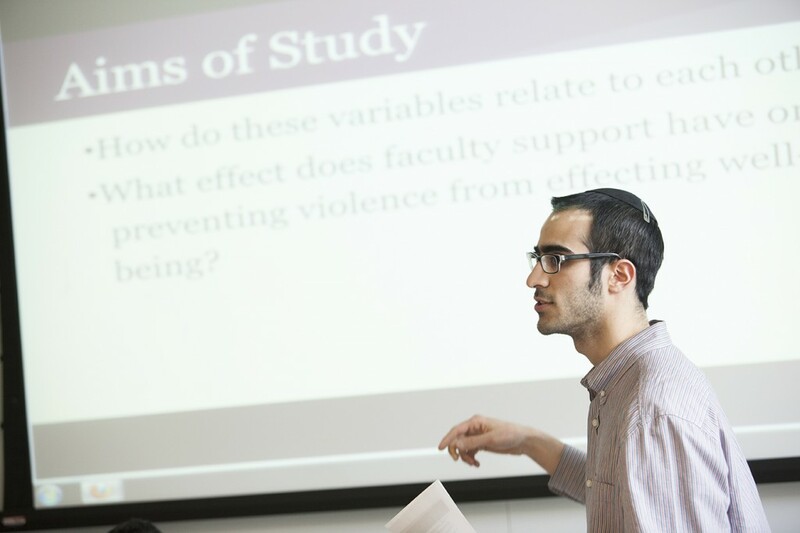 At Yeshiva College, students in Visiting Assistant Professor of Sociology Daniel Kimmel’s “Violence, Schools and Education” course are seeking answers. In Kimmel’s class, that suffering is anything but invisible. Students look not only at the different ways violence can manifest in school settings, but also the long-term consequences for those affected by it—academically, emotionally, physically and beyond. The course was designed to fulfill the Human Behaviors and Social Institutions requirement in Yeshiva College’s innovative new Core Curriculum, which heavily emphasizes a multidisciplinary approach to education that enhances students’ capacity to solve problems creatively and intuitively. Context is king in Kimmel’s course, which takes students first through individuals’ experiences with school violence and broadens into a conversation about violence on a school and community level. Students explore the relationships between violence and differing social statuses, psychological characteristics, institutional policies and long-term health outcomes. “The goal is for students to see who the different stakeholders are in a major problem like this and to see how different vantage points can lead to different proposed solutions, different explanations for the behaviors we see, and ultimately different answers to our critical questions, ‘Where does school violence come from and what should we do about it?’ ” said Kimmel.